A VERY late equaliser by sub Brad Spencer gave Sons a well earned point against Airdrieonians at the C & G Systems Stadium. A VERY late equaliser by sub Brad Spencer gave Sons a well earned point against Airdrieonians in front of a 642 crowd at the C & G Systems Stadium. Sins fought hard against a resilient Airdrieonians side managed by ex-Sons boss Ian Murray, grabbing a merited late equaliser after conceding early. The home side were a goal down inside two minutes, as Sean McIntosh beat keeper Jamie McGowan to Scott Stewart's cross and nodded home to give the visitors the lead. Dumbarton responded well, dominating much of the play for the rest of the half. But they were met by a well organised Airdrieonians defence time and again. The pattern continued after the break, with Sons struggling to turn possession into realistic chances. Airdrie looked threatening on the break — as when Dale Carrick's shot flashed across the goal just short of the hour. 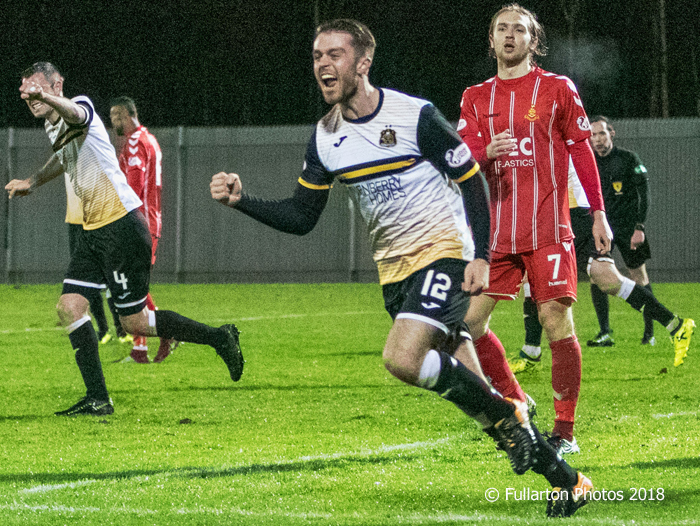 Dumbarton continued to press for an equaliser until the last minute, and were justly rewarded when Brad Spencer headed the ball home for 1-1.